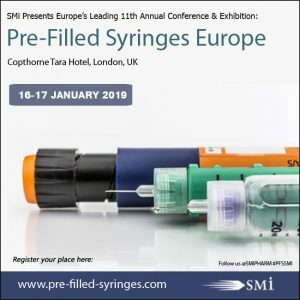 SMi Reports: 11th Annual Conference and Exhibition on Pre-Filled Syringes and Injectable Drug Devices will take place in just over a months’ time on the 16th-17th January 2019 in London. 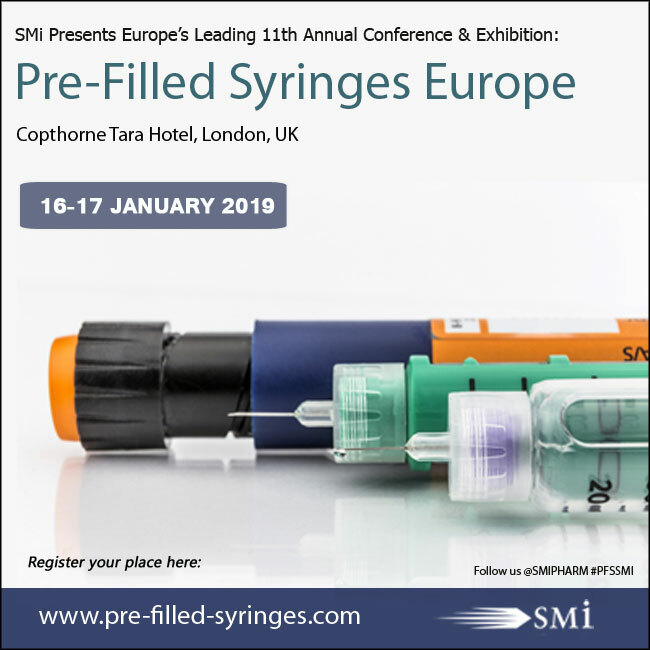 This premium event will feature over 100 selected senior pre-filled syringes experts from leading PFS markets, including Austria, Belgium, Finland, France, Germany, Japan, Switzerland, UK, USA and many other countries. Event attendees will gather to discuss solutions to accelerate PFS development and technology advancements, as well as explore innovations for platform systems of injectable delivery devices, and assess the impact of digitalisation, patient-centricity and the regulatory compliance which make up such core components within the PFS sphere. This event provides the perfect platform for networking and knowledge sharing amongst delegates. The speaker line up for 2019 will include top decision makers from the likes of MHRA, Novartis, SCHOTT, Sanofi, MSD, Boehringer Ingelheim, Pfizer, Novo Nordisk, Janssen, Biogen and more! Running alongside the conference will be two interactive workshops which will take place on the 15th January. Workshop A: HOW TO ENHANCE USER EXPERIENCE OF CONNECTED DEVICES FOR DIGITAL PLATFORMS. Led by Shannon E. Clark, Principal, UserWise, Inc. Spaces for both the conference and workshops are limited and filling up rapidly, therefore it is advised to register as soon as possible. SMi’s 11th annual 2018 Pre-Filled Syringes & Injectable Drug Devices Europe conference and exhibition will take place on 16th & 17th Jan at the Copthorne Tara Hotel, Kensington, London UK.